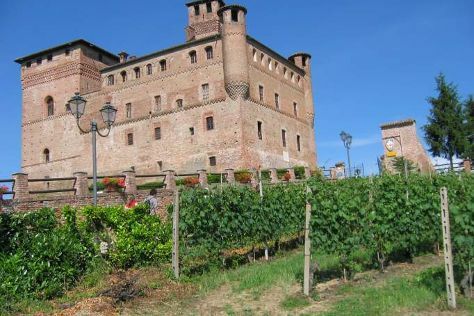 Popular historic sites such as Castle of Grinzane Cavour and Palazzo Reale are in your itinerary. Get a sense of the local culture at La Venaria Reale and Museo Nazionale del Cinema. Go for a jaunt from Turin to Sant'Ambrogio di Torino to see Sacra di San Michele about 52 minutes away. There's lots more to do: pick up some local products at Mercato di Porta Palazzo, take in the spiritual surroundings of Duomo di Torino e Cappella della Sacra Sindone, contemplate the long history of Basilica di Superga, and admire the masterpieces at Egyptian Museum of Turin. To see other places to visit, photos, where to stay, and other tourist information, read our Turin vacation trip planner. If you are flying in from United Kingdom, the closest major airports are Malpensa International Airport, Turin Airport and Cuneo International Airport. In April, daily temperatures in Turin can reach 22°C, while at night they dip to 11°C. Wrap up your sightseeing on the 16th (Sun) to allow time to travel back home.